Have you ever considered that the first thing people see when they arrive at your home is the driveway? Lemon Remodeling can help you upgrade your driveway and find the style which is perfect for you. There are multiple materials available for the surface of your driveway including plain or decorative concrete, natural stone, asphalt, brick and recycled materials. You can also choose from numerous colors and styles of pavers to create a unique, customized look for your driveway. Paver lights along the edge of the driveway can also be installed to enhance your driveway. Your new driveway will certainly add to the value of your home. Our team of professionals will be able to assist you in choosing the option that works best for your location, your style, and your budget. A project manager is always on site and supervises all aspects of the remodel and handles all of the administrative aspects of the process, including permits and inspections, thereby making it stress free for you. Our goal is to provide you with a positive remodel experience from beginning to end. 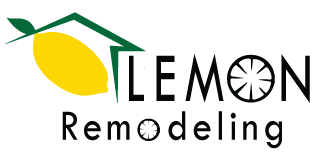 Let Lemon Remodeling help you achieve your perfect driveway remodel! Contact us to remodel your home and receive a free consultation. We proudly serve customers in San Jose, Cupertino, Fremont, Palo Alto, Santa Clara, and surrounding areas in the Northern California Bay Area.